Z-CoiL Footwear Inc., an Albuquerque, NM based company founded in 1989, created the Z-CoiL Shoes initially as a running shoe for athletes. Today, the high tech shoe company offers pain relief footwear with a variety of styles to people suffering foot, knee, hip and back pain. The funky looking footwear also features a built-in orthotic (stabilizing plate) and an inch of cushioning. Z-CoiL owner stories from the 2004 Puyallup Fair in Washington state. 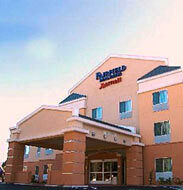 We will be at the Fairfield Inn & Suites in Ukiah, this Saturday May 20 '06 from 9am to 5pm. If you already own a pair of Z-CoiL's come in and see our new styles, bring your friends who think your shoes are weird! Let them test Z-CoiL's. If your Zzz's need refurbishing bring them in. Get new heels! Let us recheck your fit and stride. If you don't own a pair this is your opportunity to try them on. We will be back in August. We will post the exact schedule at a later date. YouTube - Broadcast Yourself. : "
Pamela Roberts, Youth Development/4-H Coordinator Washington State University Jefferson County Extension, conducts an informal interview with new Z-CoiL shoe owner, Gene Talvin, One Man Band Productions. Gene purchased his black Cloudwalker dress shoes at Shoe Safari, Silverdale, WA from owner Hugh Solaas. ( Anchorage, AK ) – Millions of Americans suffer chronic pain, which can be debilitating and life-altering. According to an April 2005 poll by ABC News, USA Today and the Stanford University Medical Center, a little less half of the adult respondents have experienced pain in the last two weeks, and nearly four in 10 do so on a regular basis. A majority reported knee and back pain to be the most common. For Fairbanks, Alaska, resident Leona Allridge, chronic pain was part of her daily routine, as she suffered from pain in her feet, back, and legs for many years. Pain was a powerful motivator for Leona, as she tried many remedies during the years, with no success. On a friend’s advice, Leona found an amazing pair of shoes that has made a complete change in her life. Leona made the 350-mile journey to Anchorage to find Z-CoiL® Pain Relief Footwear™, at The Shoe Box, owned and operated by Mary DeZarn. Z-CoiL® Pain Relief Footwear™, unlike any other footwear on the market, is specifically engineered to help alleviate foot, leg, and back pain. According to hundreds of already satisfied customers, Z-CoiL® shoes have helped reduce the pain from plantar fasciitis, heel spurs, arthritis, sciatica, fibromyalgia, chronic lower back pain, just to name a few conditions. The unique footwear has three special components that combine to provide impact reduction, cushioning, and overall comfort. Z-CoiL® footwear features a conical shaped coil that compresses to reduce the shockwaves traveling through the body with each step. Built in each shoe is a rigid full-length orthotic that runs from the heel to the metatarsal heads, providing overall midfoot support. Superior forefront cushioning also lessens the impact of each step and helps provide comfort. Z-CoiL® Pain Relief Footwear™ is available in Alaska only at The Shoe Box 4240 Old Seward Highway, A-15, in Anchorage. To contact Mary, call 907.336.7463. Better balance, less impact on the back from standing, may help your posture, especially if there already is pain and inflammation in the affected area of the spine. Z-CoiLs® may actually help in maintaining our balancing system. Santa Rosa, CA - This May, during Correct Posture Month, the American Chiropractic Association (ACA) suggests that you talk to your doctor of chiropractic about ways to alleviate postural habits. Good posture is an important strategy in protecting your spine and preventing soft tissue injuries, such as postural strains. Whether you are a nurse that is constantly on your feet, or a secretary that spends hours behind a desk and performs data entry, poor posture will inevitably lead to musculo-skeletal injury and pain. It therefore behooves all of us to use good posture in our daily activities, such as sitting, standing and walking. Ideal posture is basically that body configuration that requires the minimal amount of energy to keep us seated or upright. Once you deviate from that position, certain muscle groups get fatigued and problems will result. For instance, if you are a secretary, and you do not use a headset, and you consistently tilt your head to the side to approximate the head to the phone, you are going to have neck pain. A chronically tilted head requires your lateral flexors of the neck to work overtime, resulting in sprains/strains. While standing, our base support starts with our feet. Our spine by design has several curvatures to maximize our ability to balance, and at the same time minimizes the amount of energy required to maintain this posture. High heels, as worn by many women, of course forcibly deviates your body’s curvatures from ideal, leading to back pain, knee pain, and foot pain. An innovative new product on the market, called Z-Coil shoes, may actually help improve your posture. These shoes were actually designed to prevent foot, back, and leg pain. These shoes have a built-in orthotic, a rocker-bottom forefoot neoprene sole, and a metal coil under the heel for maximum shock absorption. Advantages of these shoes include impact reduction, stimulation of the balancing system due to the elasticity of the coil. The loss of the ability to coordinate our muscles for balancing is one of the main reasons seniors fall and sustain hip fractures. I believe, Z-Coils may actually help in maintaining our balancing system, which of course involves the brain. This would be due to the fact that the coil has a give on impact, which forces you to work on your balance. Better balance, less impact on the back from standing, may help your posture, especially if there already is pain and inflammation in the affected area of the spine. Since 1994, Doctor Erwin Linzner has managed a chiropractic practice in Rohnert Park, California. He uses manual manipulation, soft tissue manipulation and rehabilitation for a variety of musculoskeletal conditions. He believes that wellness comes from healthful living, which includes proper nutrition, exercise, and sleep. These are the primary factors that prevent disease, but also need to be addressed in healing from any condition. I suffer with a disability known as "dropped foot" (also called "foot drop"). This is a result of a ruptured disc in my lower back, which has since been removed, but has left me with some lasting nerve and muscle damage, the worst of it being "dropped foot" on my left side. I cannot lift my left foot at all and must concentrate on every single step I take. I walk with a limp and cannot run, jump, skip, or dance. Sometimes I stagger because I cannot support myself with my left foot. And because I also can't lower my body weight on the left foot, my whole left side takes an extra jolt every time I put that foot down when I'm walking. It is jarring and painful and adversely affects everything from heel to ankle, knee, hip, and lower back. Chronic pain becomes a constant companion, and walking becomes an activity I want to do as little as possible, to avoid the pain. When I do walk, I must focus on each step to try to lessen the pain. I cannot walk along absent-mindedly, like most people do, or I will come down harder on the left side. Even with concentration, I could not avoid the limp and some pain, and after 10 years of this, I had developed a chronic pain in my left hip that kept me awake at night. I would buy good running shoes, the ones with the most cushioning in the heel that I could find, and wear them until the cushion in the left shoe was mashed down from the pounding it had taken. The shoes would last two months at the most. I also own every gel and cushion insole out there. Several weeks ago, my husband saw a colleague wearing [Z-CoiL® footwear] and asked her about them. She explained that she was wearing them because of knee and back pain and she said they helped her. He wondered if they would help me. I am a chiropractor with a busy schedule, on my feet for hours a day, adjusting patients four to five days per week. I am always looking for tools to help me increase my energy and effectiveness. Z-CoiL® shoes have been a boon to me and my practice. Since childhood, I've had a tendency toward flat feet, a slumped posture, and overall tightness in muscles and joints. Biomechanically, I knew I needed something more in the way of foot support, but had never had good results with traditional orthotics. High quality shoes helped, but did not solve the problem. I had seen friends and colleagues wearing Z-CoiL® shoes for years and had been struck by their innovative design. Coincidently, two patients of mine, long-time employees of Z-CoiL Footwear, began to educate me about the Z-CoiL products and methods. I tried a pair of Z-CoiL clogs in March 2004, and have been in love ever since. To date, my posture is straighter, my arches are higher and stronger, and I am less tight and tired at the end of the day. Due to my better alignment in the Z-CoiL® footwear, I believe that all my muscles are more "switched on" and that it takes less effort to perform the same tasks. I wear my Z-CoiL ® shoes throughout my workday, and now cannot imagine doing without them. Patient response to Z-CoiL® footwear has been overwhelmingly positive. I've been as impressed with Z-CoiL's dedication to service as I have been with the results of wearing the footwear. Everyone is treated and fitted as an individual, and Z-CoiL employees are trained to work with customers until their needs are met. This has always been my central concern in practice, and I am pleased to be able to recommend a company and a product that share my same patient-centered philosophy. A number of years ago, I was forced to stop running due to a knee injury. I look forward to buying my next pair of Z-CoiL® shoes, the Freedoms, and getting back to a sport I enjoy. My Z-CoiL® shoes are important because I enjoy chiropractic and intend to practice for another 20 years. Z-CoiLs will help me continue to do this energetically and without pain. Hi, my name is Al Gallegos, I'm founder and Chairman of the Board of Z-CoiL Footwear. I'm also an outspoken critic of the so called high-tech shoes that intelligent consumers are forced to wear. Lots of people say I'm the guy who's going to change the industry. You know what? They're right! Z-CoiL Footwear has made all other shoes obsolete. Our footwear has a coil located below the heel. Why? Coils vastly outperform other materials designed for cushioning and stability. Ask Chiropractor Erwin Linzner questions about your feet, legs and back.